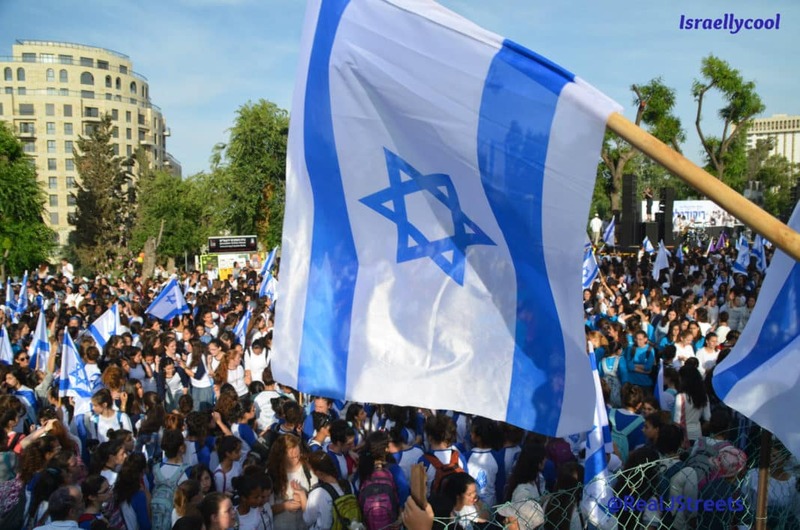 Finally, there is something everyone can agree on today in Israel. So hot we were feeling sorry watching IDF soldiers dressing in bullet proof protection over their uniforms for another day in the search for Eyal, Gilad and Naftali. October 2005: Three killed, three injured in a shooting attack at the junction. January 2006: A Palestinian man stabs an Israeli man and girl; the attacker is shot and injured by an off-duty police officer. March 2006: A Palestinian man who arouses suspicion at the hitchhikers’ post is found to be armed with a knife and arrested. December 2009: A woman is stabbed in the back by a Palestinian man. November 2010: A Palestinian man attempts to stab Israeli civilians at the junction and is arrested by the IDF. January 2011: Shots are fired in the area; there are no injuries. Twelve years ago on a nearby road two men were murdered. So what did their widows do? 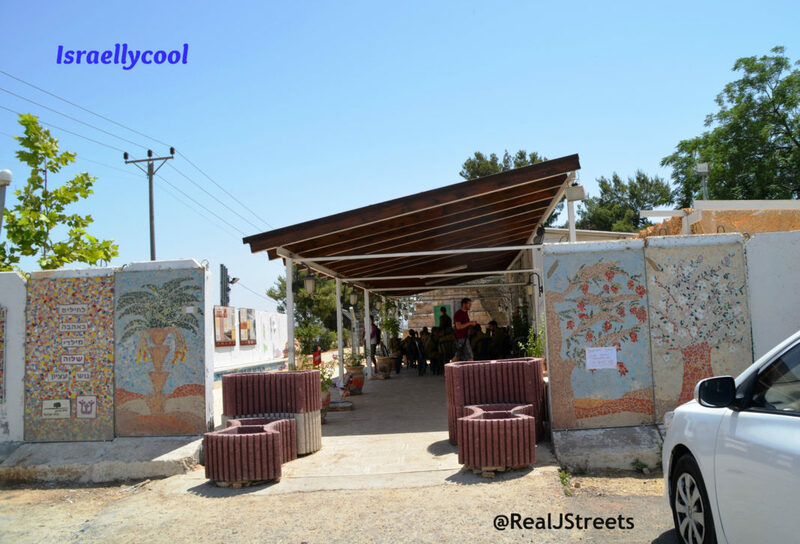 They set up Pina Chama, a cozy corner, a place for IDF soldiers in the Gush to rest and eat with out having to pay. All volunteers and donated supplies, it has grown over the years. Now it is the hot spot at the center of the search effort. It was good to see that soldiers also had shade from the blistering midday sun. 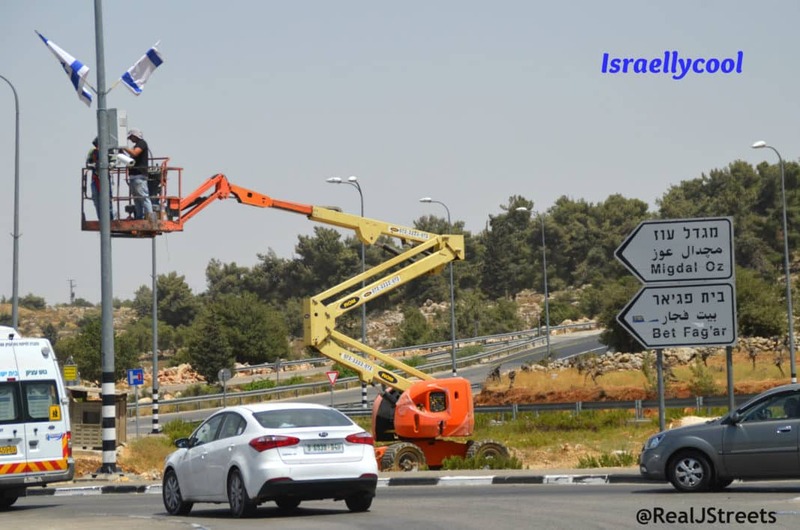 The news this morning was that lights and security cameras were to go up at this busy junction in Gush Etzion. It always amazes me how fast some things can get done around here. You have to understand this is one very busy and dangerous place, from crazy drivers of all nationalities and not just terrorists. 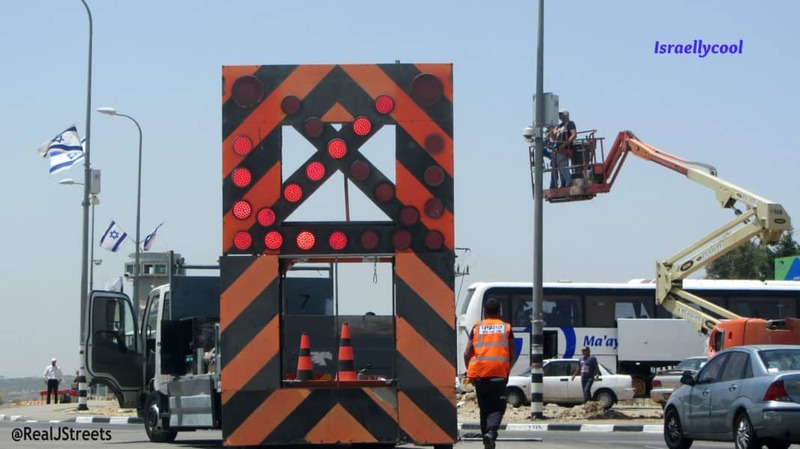 In spite of high temperatures, all around the large traffic circle, equipment was installed. (FYI – green and white license plates are that Palestinian Authority tags). 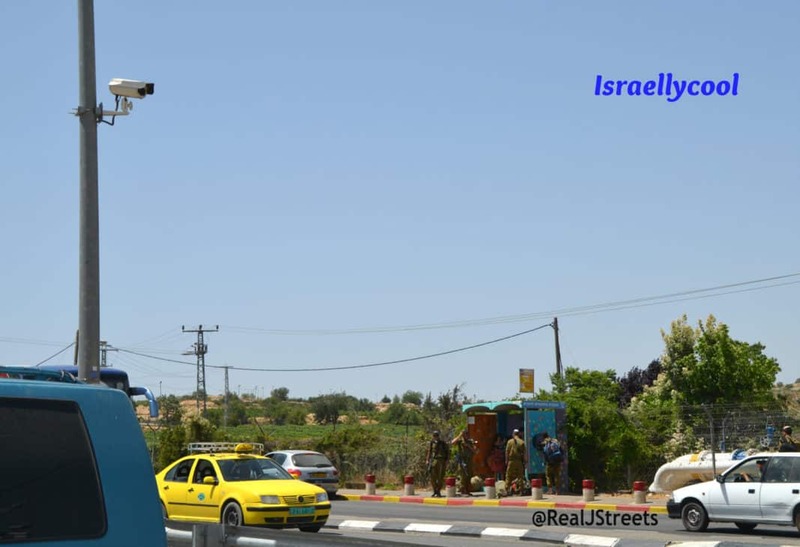 There you have it, an Arab taxi, IDF soldiers at a bus stop and the security camera positioned above. 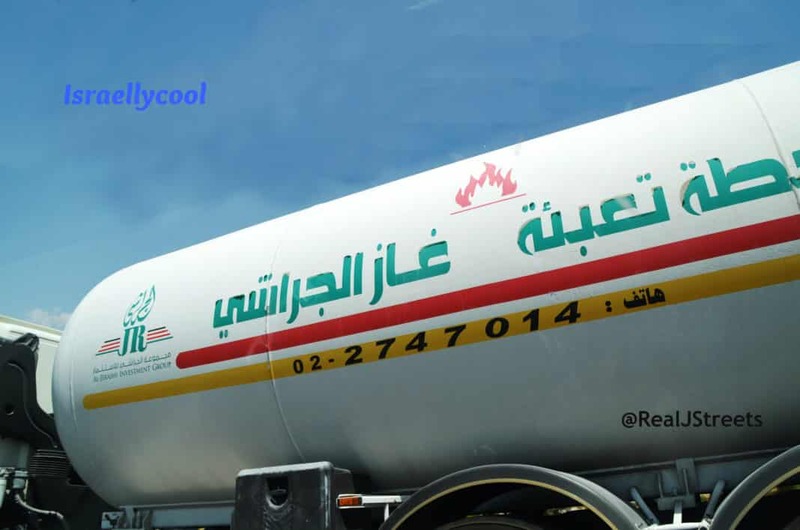 As we drove back to Jerusalem, we passed this tanker truck. Another example of our apartheid roads, if car and taxi were not enough for you. What a good time to remember and share what over 9 million have learned from Life of Brian, Always Look on the Bright Side of Life. in the Gush, it will not only be hot, but bright and hopefully safer. So we keep looking on the bright side, it is time they#BringBackOurBoys.